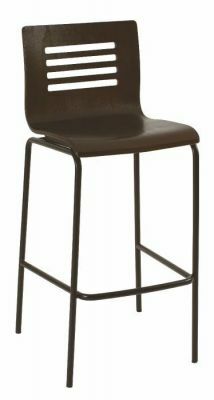 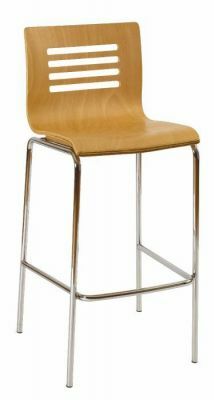 Great value bar stool with molded wood seat in Wenge or Beech finish. Produced for commercial venues. 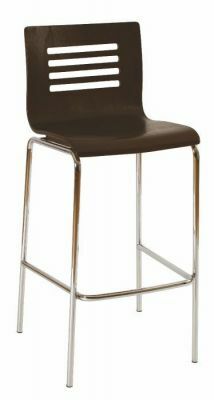 Includes a strong metallic frame. 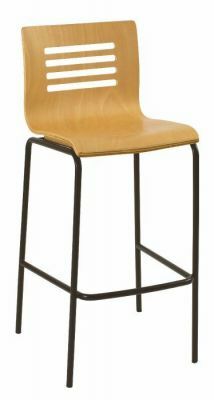 Contemporary commercial bar stools in a choice of colours with a decorative backrest, variation of the Hayley seating range, with four horizontal slots in the back of each stool.